‘Muse of Fire’ is the first of two Big Finish releases that graced listeners in December of 2018. The fifth seventh doctor release in a row, it saw the return of the popular Ace/Hex companion team and plonked them down in 1920’s Paris at the height of an artistic boom. Not only that but it features the return of Iris Wildthyme and her long term companion and friend- Panda. I must confess to being something of a humbug when it comes to overtly silly Doctor Who stories. I must also confess to not having experienced much Irirs before (indeed I had only heard The Wormery) and so I wasn’t really too excited about this particular release. However, I can not only claim it to be the best main range release of the year thus far, but I must also thank it for starting my obsessive love affair with a certain 10-inch tall panda…. Written by one of the real shining stars of the Doctor Who world, Paul Magrs, Muse of Fire is a multi-layered incredibly rich piece of storytelling that weaves an eccentric comedy around themes of art and poetry. It pits the TARDIS team against Iris and Panda with ease and manages to further the Doctor and Iris’s relationship, not as easy as it may sound given that she was first introduced into the Whoniverse (or he was first introduced into the multiverse!) in 1998. Of course, Magrs has a certain advantage over some of the other writers who have written for Iris, being her creator. It effortlessly manages to include some moments of genuine tension, even if the situation is absurd, without giving us any jarring shifts in tone. The concept of the Doctor immediately mistrusting her, particularly in this incarnation, results in some wonderful moments- with Magrs getting in some great digs at this ‘era’ of Doctor Who. Katy Manning and David Benson are of course two of the highlights of this release. In the previous series of Iris Wildthyme (which thanks to this release, I recently binged when travelling), their team of Iris and Panda proved to be one of the prime points of amusement and the fact that it took them this long to meet the Doctor together, is criminal frankly. Admittedly some of their…’vices’ are toned down a little, though this is to be expected, given that this is a Doctor Who and not a Wildthyme release. Benson takes a little longer than Manning to enter into the story, however when he does I had to stop the playback in order to wipe the tears from my eyes. Panda’s dynamic with Ace will surely reduce any hardened Doctor Who fan to sobs of laughter. Not only that but whenever I sit down to write another Doctor Who review, I won’t be able to not picture Panda ripping into Dali. The regular Tardis team all get some great moments and it’s nice to see this particular trio in something a little more light, though still containing an incredible richness. Phillip Oliver shows a talent for comedy and he takes an immediate shine to Iris, indeed perhaps somewhere out there, there’s an Iris and Hex miniseries waiting to happen? Sophie Aldred has some wonderful moments, particularly with David Benson and McCoy manages to play the straight man beautifully, this darker Doctor seeming a little lost amidst all the madness. Yearning for the past is almost always a bad idea, however, I’d still indulge in any more one-off adventures featuring this team reunited. All in all Muse of Fire is an incredible piece of work. The highlight of the year. The Doctor's old friend, the reverend HT Ellacombe, has been out of touch for too long. But when the Doctor goes to find him, he and Mel discover something else entirely: unidentifiable footprints in the snow around the Victorian village where he lives. The Devil's Footprints is the kind of story that Doctor Who does so very well. It takes a real event, and adds the Doctor into the mix. The actual event the story is based on happened in 1855, in Devon. Where after a heavy snowfall a trail of hoof-like imprints in the snow appeared, stretching up to 100 miles. In this latest entry to the Short Trips range, writer Penelope Faith expertly weaves the Seventh Doctor, Mel and alien possession into the mix. The TARDIS materialises in Devon, in the year 1885, where the Doctor bumps into an old friend, who the Doctor discovers, might not be quite what he was the last time they met. The story is read by Bonnie Langford, in it her character Mel takes the lions share of the action. The plot romps along at quite a pace, and Langford really throws herself into narrating duties, even providing us with a great take on the seventh Doctor. Rolling R's, bluster and all. The story of a small town harbouring a possible devil bears inevitable comparison to 1971's The Daemons, but manages to be original enough not to totally clash with that classic. The Devil's Footprints is a story that is well worth a listen, and is available HERE from Big Finish. This year’s main range, ‘UNIT’ trilogy concludes with Warlocks Cross. So far the UNIT trilogy or the ‘Daniel Hopkins’ trilogy has been excessively dark, dealing with some incredibly bleak themes. The first, The Helliax Rift was a story that dealt with some interesting ideas in a way that had some gut-wrenching impact. The second, Hour of the Cybermen was an exercise in Sawardian nastiness and violent as a result. This final installment is no different. What results is an emotionally hard-hitting and bleak affair full of characters haunted by their past, be they Klein, Hopkins or UNIT itself. The story itself also certainly sits comfortably in that area of Doctor Who stories which can be described as having elements of horror within them. In short; it’s bloody frightening. Steve Lyons script concerns the Doctor arriving at UNIT in its dark period of the 1990’s. When here he reunites with Dr. Elizabeth Klein and becomes embroiled in a mystery involving a forgotten psychic research facility, the titular Warlocks Cross and Daniel Hopkins, still alive after his part cyber-conversion. As I stated above, Lyons really has let his darker side come out here and those who were perhaps hoping for a more jolly installment in this year's trilogy may be disappointed. This is as adult as Doctor Who can get and the scenario he creates, allows for some interesting thematic scenarios involving themes of paranoia. McCoy himself is wonderful here. After last months, The Quantum Possibility Engine allowing him to explore the lighter side of the 7th Doctor, it’s great to see him return to the more sinister aspects of his interpretation. McCoy gives a very quiet and understated performance throughout, the sequences with Hopkins are some of the highlights, as this Doctor shows a distinct lack of sympathy and seems to play games with Hopkins. And what of Daniel himself? Well if there’s one thing that has been consistently good throughout this year's trilogy, it’s been Blake Harrison's performance. In the space of three stories, Harrison has taken an incredibly likable character and managed to transform him into one of best original characters Big Finish has created in a long time. Original Doctor Who Villains are a hard thing to create, but Hopkins must sit among the best. Of course, another talking point of this release is the return of Elizabeth Childs as Klein. Admittedly this isn’t a Klein focussed story, she has a great deal of wonderful moments of course and she does get some character exploration, but she is very much a bit character here, which may disappoint some. However, Childs is great as always and honestly, it was refreshing to see a version of Klein more at peace with herself, despite a few underlying ‘ghosts’. All in all, Warlocks Cross, can be seen as a rousing success. This UNIT trilogy has been the highlight of the main range this year, resulting in some wonderfully rich stories full of depth. Here’s hoping that we haven’t seen the last of Daniel Hopkins! The ‘Seventh Doctor Takeover’ continues with The Quantum Possibility Engine, bringing to a close much of Mel’s continuing storyline, as well as this main range trilogy. Not only that but it also features the return of Josiah W. Dogbolter, a character who made his debut in Doctor Who Magazine in the comic strip The Moderator in 1984, as one of the primary villains of the piece. In a sense that’s important to state as, The Quantum Possibility Engine, feels very much like a mid-80’s Doctor Who Magazine strip. There are bizarre characters and off the wall ideas, mixed with some less than subtle (in a good way) digs at reality and an oddly Meta sense of humour. Some things don’t make a lot of sense, but who cares? The rides worth it. Our story opens with our hero’s (Sylvester McCoy, Sophie Aldred and of course Bonnie Langford) onboard a space station owned by the new president of the solar system; Dogbolter. Dogbolter wants the Tardis for a very specific reason, meanwhile, Mel tries to settle the score and the Doctor and Ace Find themselves locked inside the titular ‘Quantum Possibility Engine’. Oh and Narvin’s here. The Quantum Possibility Engine is actually a pretty hard story to talk about. Part of the enjoyment of it comes from not knowing what’s coming next and to that end it’s almost impossible to discuss without spoiling anything. The ride that Guy Adams takes us on is so bizarre and outlandish that it would be unfair of me to discuss any of its elements here. What it is fair to say is that this is one hell of an adventure and one that’s a lot of fun, certainly working more as a comedy than anything else. The return of Dogbolter is one which I’m very pleased with, he may seem like an odd choice to some but this parody of Sydney Greenstreet is one of the reasons I’m such a fan of The Maltease Penguin. Toby Longworth returns to the role and captures that Greenstreet-esque voice perfectly, apart from a few wonderful moments when he seems to be evoking Churchill instead. Wonderfully, Adams has chosen to give him a Robot assistant that sounds an awful lot like Peter Lorre (played with perfect sniveling menace by Wayne Forester), a logical thing to do given the Greenstreet connection. Even away from Dogbolter, however, there’s still much fun to be had here. McCoy, Aldred and Sean Carlsen all get wonderful moments in the second half of the story. Carlsen especially is not someone I’m overly familiar with, never having listened to any of the Gallifrey stories (though I know Narvin has something of a fan base). Here he was extremely enjoyable and although played primarily for laughs (after all this is a comedy) I can see how his character could be more dramatic and sinister if required. The star of the show in terms of regulars (because sorry but Longworth really steals the limelight from everyone) however is Bonnie Langford. She gets some great comic moments with Wayne Forester and also some of the few seriously dramatic sequences in the entire story. Langford really has done wonders with Mel on Big Finish and I hope she gets more time to shine in successive years! The Quantum Possibility Engine really is a hell of a blast. 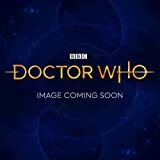 It may not be particularly dark or dramatic and so may not be for those who like their Doctor Who serious and straight, but for those who like I bit of fun I cannot recommend it enough. Sylvester McCoy (The Doctor), Yasmin Bannerman (Roz Forrester), Travis Oliver (Chris Cwej), Liz Sutherland-Lim (Maratuk), Vikash Bhai (Sydyck), John Heffernan (Honos), Mina Anwar (Forsetti), Janine Duvitski (Alpha Wheeler), Leonie Schliesing (Zsa Zsa Straus), Franchi Webb (Eleanor Blake), Rupert Young (Binkum Fray), Silas Carson (Arbuckle), Sara Powell (Contessa), Olivia Morris (Green), Connor Calland (Blue), Jacob Dudman (Cannon), Melanie Kilburn (Hooley), Rhian Blundell (Isabel), Elaine Fellows (Annabel), Ellie Darvill (Willis). Other parts played by members of the cast. I missed the "Virgin New Adventures" era of Doctor Who. That strange time when the show was off the air, and the biggest thing keeping the show alive was a series of novels that continued the adventures of the Seventh Doctor and Ace following the shows cancellation. Eventually Ace moved on, and he gained new companions, most notably Bernice Summerfield (who continued the book series after Virgin lost the rights to Doctor Who, and was actually used as the test pilot for Big Finish to prove their worth and GAIN the Doctor Who license), but also a couple of future space cops named Roz and Chris. But while I was too young tto really experience the Virgin line at the time, I've long had an interest in it. So when Big Finish adapted some books into full cast audio plays a couple of years ago I sampled them. Two of the adaptations starred the afforementioned Chris and Roz...and now Big Finish has launched a new boxset starring the Seventh Doctor with these two characters...but instead of just adapting books, this time they are exploring these characters in brand new original audio plays. The set begins with The Trial of the Time Machine, Doctor, Roz, and Chris debating law and order...discussing whether certain laws are constants, or whether laws on arious worlds are unjust...but they must face these questions head on when the TARDIS crashes into another Time Ship, and because of it's own sentient nature, is put on Trial for the crime. I really loved that premise...it isn't any of the occupants of the TARDIS on trial for an odd crime, but the TARDIS itself. I also found it interesting that a time travelling being within the story also has the Doctor question his own relationship with the TARDIS. Does the ship enjoy their travels together, or has he just enslaved her for his own galavanting across the cosmos. It's really a small moment, but I found this introspective pause from the Doctor to be really well done. The second episode, Vanguard, involves the TARDIS landing on the Planet Vangard, and find that a war between two factions has lead to the destruction of most of the planet's occupants. The TARDIS team are all separated, and must do their best to end the War and bring the people together, in order to be reunited themselves...though each faction is looking for escape and hope to use the Doctor and/or the TARDIS for escape. It's a rather generic plotline for Doctor Who, but it is well exectued and enjoyable enough to listen to. I doubt I will remember much of it a week from now, but I can't say it annoyed or bored me while I listened to it. The third entry (The Jabari Countdown) fared better, as the TARDIS lands on a ship during World War II full of mathematicians heading towards a remote island on a secret code cracking mission. But the mathematicians haven't actually been recruited to crack any code related to the war, but have instead been recruited by an alien to find a cure to a math related virus, a virus which makes the infected speak only in numbers. This is at least a unique concept, and the creepy atmosphere and Second World War setting make it an enjoyable listen. The set closes out with Dread of Night, which is an "Old Dark House" story with a sick girl, her worried sister, a seemingly overbearing nurse, and some kind of psychic monster. It is well executed and a good creepy listen...though if I had a complaint this had one of the only instances of awful sound design I can remember in a Big Finish play. A woman was whispering so quietly, and I could barely hear what she was saying, so I had to really crank the volume...only to suddenly be surprised by a loud "jump scare" moment...thus violently hurting my eardrums in the process. The jump scare didn't really do it's job. I was slightly alarmed for a moment, but I wasn't scared...I was just irritated that I had to crank it for some seemingly important dialogue only to get punished by this loud moment...and that has never been an issue with Big Finish before. Their sound design is some of the best of any audio plays I have ever heard. No one comes close to them on the regular...but man that moment annoyed me! Otherwise, I thought it was a really good story. Overall, I'd say this set is quite a good listen. McCoy's Doctor is always a bit better than I often remember it to be, and his companions in this set are decent, if a bit forgettable. I think my biggest complaint of the set on the whole is that Chris and Roz lack personality. I enjoyed them in the earlier plays based on the novels they originally appeared in, but in this set I never truly feel like I got a grasp on just who they are. They could've been exchanged with any generic companion, and it wouldn't have changed the story one lick. They aren't awful or annoying or anything...they are just completely bland. That is a shame. 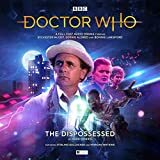 ‘The Dispossessed’ is the second entry in this year’s Seventh Doctor trilogy (or should that be pentology?). Mark Morris’s tale see’s the Tardis team of the Doctor (Sylvester McCoy), Ace (Sophie Aldred) and Mel (Bonnie Langford) trapped in a run-down tower block, with no-way-out. Taking the basic small-setting small-cast mold, The Dispossessed, utilises the aforementioned interesting setting of a condemned tower block incredibly well and merges this with portals to other worlds, zombies and eccentric characters. Mark Morris’s script is really the star of the show here and he appears to have really let his imagination go wild. What emerges is a complex mishmash of intriguing ideas, settings and characters. From Arkallax, the villain himself and the setting and the idea of an endless night all providing a haunting atmosphere. Morris also provides McCoy with easily some of the best writing he’s had in a long time. There’s a moment in part two when he’s trying to find out what he can about ‘Ruck’ and the mysterious, darker seventh doctor really comes to the forefront. Where other Doctors would of perhaps been a little more emotional, McCoy’s responses show that he cares but still remind us that he’s an alien. The final sequences of part four, in a bizarre mindscape wherein he confronts the Villain, show McCoy at the height of his powers. Nick Ellsworth gives a wonderful performance as Arkallax, particularly in the sequences when he’s entertaining Ace and Mel in his flat. Stirling Gallacher is particularly rousing as Isobel, providing a number of laugh out loud moments. An interesting moment occurs when we don’t really know which one to trust and the sequences of them both explaining their backstories are intercut, providing some mystery over who to trust. I have to confess that Morgan Watkin’s character of Ruck and Anna Mitcham’s Jan, left me feeling a little bit cold. This is nothing to do with these two actors wonderful performances, but the characters I couldn’t help but feel were a little cardboard and lacking in any real depth or substance. Mark Morris has tried to tackle some interesting issues and I give him kudos for that, though unfortunately, the slew of interesting ideas within this story means that these deeper themes are a little swamped. The result is Jan and Ruck are not the strongest supporting characters. The Dispossessed also suffers from re-using a large amount of the soundtrack from the previous months Red Planets. On the surface, this may not seem like a particularly bad idea, though the result is that an incredibly atmospheric and dense script with lots of intriguing imagery, isn’t really given an effective soundtrack to match. Moments that really could have been awe-inspiring are hurt by using themes that don’t really fit. However then later on, particularly towards the end of part three, there’s an incredibly effective piece used around one of the big reveals that provides an incredibly powerful moment of tension. Not too long after that we revert to stock ques used in Red Planets. The Dispossessed is a highly enjoyable tale that highlights the greatness of McCoy’s Doctor. It may fall flat on a few points but the real star of the show is McCoy and Morris’s script, which results in easily one of the most entertaining stories from this year's main range.